The Unexpected Health Benefits of Owning the New Moto 360 Smart Watch | OhGizmo! 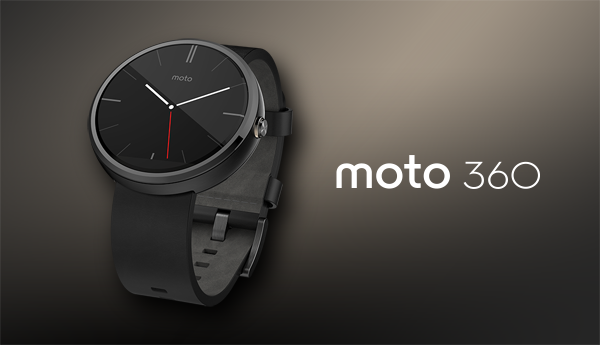 One example is the new Moto 360 watch. This new smartwatch from Motorola combines fashion with technology to deliver a watch that brings the wearer apps from Google Play, health and fitness, Wi-Fi connectivity, and the option to customize it just how you want. PC Advisor ranks it among their best smartwatches to buy in 2015, while TechRadar score the first Moto 360 watch 4/5 stars. When it comes to your decision to buy a smartwatch, the main reason most people cite is the ability to use apps with them. Connect your smartwatch with your smartphone and it becomes an all-powerful tool to help you keep tabs on loads of things from social media to your health levels. Endomondo is an all-round fitness app with heart rate monitors, a daily diary feature, and you can also use it as a lap timer. Having an app like this on your wrist means it’s with you everywhere you go. If you’re running, it’s there with you without being cumbersome to carry. This just can’t be said for using the same app from your smartphone. Runkeeper maps your runs so you’re able to quickly see how far you’ve run. It also keeps tracks of gradients and terrain. This app also includes a pedometer, a weight loss chart, and the ability to share your progress with your social media network. Connect Line is a super-handy app that’s been designed for people with hearing aids. It’s a simple app that allows you to control the volume of your hearing aids from your smartwatch. If you don’t want people knowing you’re wearing hearing aids from HH, and that you’re having difficulty hearing them (in a job interview or date for example) this is a super-subtle way of addressing the problem without anyone ever needing to know what you’re doing. These three health apps are just the tip of the iceberg, and as technology develops we are bound to see a considerable rise in the number of health apps available on the market. Of course, while there are huge positives to these technological advances, everything always comes with a downside, which you must take into consideration. For instance, if you’re controlling your hearing aid from your smartwatch and the battery in your smartwatch runs out after you’ve just turned your hearing aid volume right down, you won’t be able to hear until you’ve replaced the battery. Or perhaps you’ve bought yourself a new smartphone but haven’t yet synced it with your smartwatch, thus rendering that lovely bit of kit on your wrist pretty useless until you do. As with everything, minor setbacks or annoyances can happen, and the benefits of a smartwatch like the Moto 360 by far outweigh these little niggles. Plus, with tech heads endlessly working to improve and better the latest gadgets, we’re bound to see such tiny problems rectified soon. So if you’re looking to get fit, get healthy, and embrace a better lifestyle, adding a health app and smartwatch into your life could quite quickly change the way you do things. They help to motivate, inspire, and push you on – willing you to achieve more. Think of them like a personal trainer but without the hefty hourly price tag!